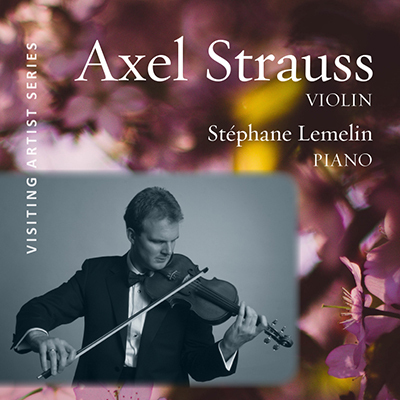 Together with pianist Stephane Lemelin, violinist Axel Strauss presents Sonata for Violin and Piano No. 2 in D Minor, op. 121 by Robert Schumann, as well as the Intermezzo from Schumann’s F.A.E. Sonata. Mr. Strauss also offers the Scherzo from the F.A.E Sonata of Johannes Brahms. The second half features César Franck, Andantino quietoso, op. 6., and Guillaume Lekeu Sonata in G, for Violin and Piano. Mr. Strauss made his American debut at the Library of Congress in Washington DC and his New York debut at Alice Tully Hall in 1998. 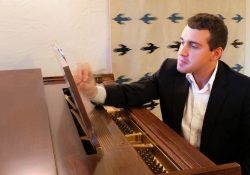 Since then he has given recitals in major North American cities, including Boston, Chicago, Cleveland, Los Angeles and San Francisco. 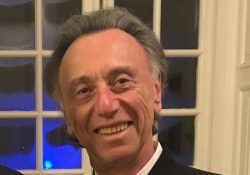 In 2007 he was the violinist in the world premiere of “Two Awakenings and a Double Lullaby” – written for him by Pulitzer Prize winning composer Aaron Jay Kernis. 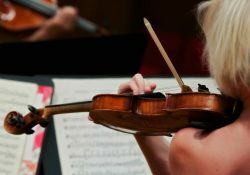 His recordings include the Brahms violin concerto (BPOlive), the violin version of the Sonatas Opus 120 by Brahms (Organum) and the Duo for Violin and Cello by Kodaly (Oehms Classics). For the Naxos label he has recorded a selection from Mendelssohn’s “Songs without Words”, the 24 Caprices for solo violin by Pierre Rode, the last three violin concertos by Rodolphe Kreutzer and the complete works for violin and piano by George Enescu. Amadeus Press has issued a DVD featuring Axel Strauss in concert at Steinway Hall in New York City.